When you look at your home, do you remember it looking better? Do you see stains and streaks on your roof? If it’s time for some exterior home renovation, call Allegiant Roofing. We’re more than just a West Carrollton roofing company. We offer replacement siding and gutters as well. If you own a commercial building, we can help you with your roofing needs too. The owners of Allegiant Roofing have different industry backgrounds, making them a perfect complement to one another. Combined, they have nearly 20 years of experience in roofing and construction. Add their real estate and insurance background, and you can trust that the work Allegiant does on your home will help it look great and improve resale value. Our knowledge of the insurance industry helps you with your insurance claims should you require fire or storm damage repair. Simply put, the expertise of our entire crew ensures you have a superior roof, siding and gutters on your home. Your roofing ages along with the rest of your home. One way to help it last as long as it should is to have it inspected by a professional West Carrollton roofing company at least once a year. When you choose Allegiant Roofing for your roofing inspection, you’re getting Haag Certified Inspectors. The Haag Certification means that we’ve had extra training to better detect and resolve your roofing issues. When you need roof repair for your home or commercial building, whether it’s due to aging or an insurance claim, call Allegiant Roofing for the most comprehensive inspection. We offer residential and commercial roof replacement for both flat and steep-slope roofing. 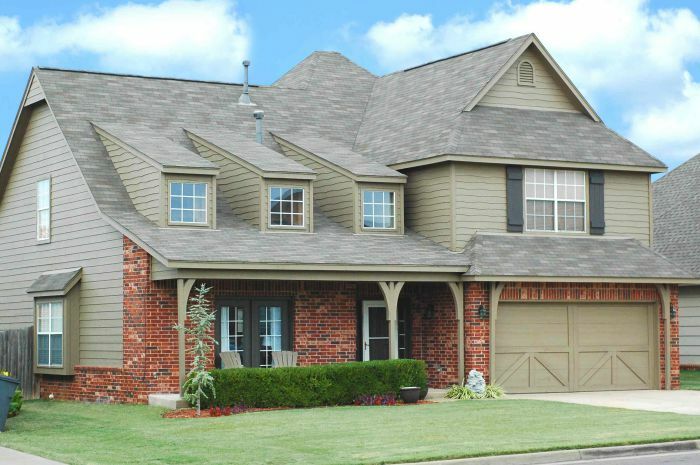 Our products come from leading manufacturers like GAF, Owens Corning, TAMKO and CertainTeed. When we perform your roof replacement, you’re not just getting a new roof, you’re getting a new roofing system meant to last for decades to come. We also offer custom aluminum gutters as part of your roofing system if you need gutter replacement. New siding can really change the look of your home. Old wood siding that is warped or cracked isn’t protecting your home, and the maintenance can be expensive and time-consuming. If you have vinyl siding and it’s cracked, pulling away from your home or has visible holes in it, you are leaving your home exposed to pests and the elements. Ask us for a free siding estimate for new siding for your home. Call Allegiant Roofing at (937) 907-0009, or fill out our easy-to-use contact form. We’ll provide you with a no-obligation estimate on roofing, siding, gutters or a whole-home exterior renovation. Roofing Warranties Are Vital – Do not ignore them! How To Avoid Roof Leakages And A Complete Roof Collapse? Copyright © 2019 Allegiant Roofing. All rights reserved.